Shares in Simplybiz Group PLC company symbol: LON:SBIZ has climbed 4.58% or 8.97 points during the course of today’s session so far. Market buyers have so far held a positive outlook throughout the trading session. The period high has peaked at 204.97 meanwhile the session low reached 197.7. Volume total for shares traded during this period was 73,755 whilst the average number of shares exchanged is 94,965. The 52 week high for the share price is 205.11 amounting to 9.11 points difference from the previous days close and putting the 52 week low at 155 making a difference of 41 points. 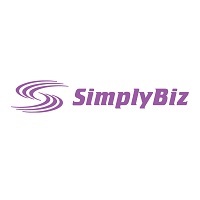 Simplybiz Group PLC now has a 20 simple moving average of 187.69 and now a 50 day moving average now at 187.25. This puts the market capitalisation now at £158.36m at the time of this report. The currency for this stock is Great British pence.Market cap is measured in GBP. This article was written with the last trade for Simplybiz Group PLC being recorded at Friday, September 14, 2018 at 12:11:16 PM GMT with the stock price trading at 204.97 GBX. 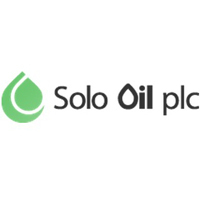 Stock in Solo Oil PLC company symbol: LON:SOLO has gained 4.05% or 0.09 points during today’s session so far. Traders have so far held a positive outlook during this period. Range high for the period so far is 2.35 dropping as low as 2.25. The total volume of shares traded by this point was 5,629,287 while the average shares exchanged is 3,981,903. The stock 52 week high is 6.84 about 4.59 points in difference to the previous days close of business and a 52 week low sitting at 2.03 which is a variance of 0.22 points. Solo Oil PLC has a 20 day moving average of 2.34 and now the 50 day simple moving average now at 2.44. The market capitalisation currently stands at £13.86m at the time of this report. The currency for this stock is Great British pence.Market cap is measured in GBP. This article was written with the last trade for Solo Oil PLC being recorded at Friday, September 14, 2018 at 12:25:13 PM GMT with the stock price trading at 2.34 GBX. Shares in Rolls-Royce Holding PLC with company EPIC: LON:RR has gained 1.47% or 14.04 points throughout today’s trading session so far. Investors seem confident throughout the trading session. The high for the period has reached 974 dropping as low as 957.6. The total volume of shares traded by this point was 1,239,527 with the daily average at 5,777,369. The stock 52 week high is 1104.5 some 149.5 points difference from the previous days close and putting the 52 week low at 9.88 a difference of some 945.12 points. Rolls-Royce Holding PLC has a 20 day moving average of 1005.61 and now the 50 day SMA of 1015.78. The market capitalisation is now £18,145.74m at the time of this report. The currency for this stock is Great British pence.Market cap is measured in GBP. This article was written with the last trade for Rolls-Royce Holding PLC being recorded at Friday, September 14, 2018 at 12:25:18 PM GMT with the stock price trading at 969.04 GBX. Stock in Scottish Mortgage Investment Trust PLC with ticker code: LON:SMT has increased 1.12% or 5.97 points in today’s trading session so far. Market buyers have so far held a positive outlook during the session. The high for the period has peaked at 542.29 while the low for the session was 536. The total volume of shares traded by this point was 442,423 with the daily average at 2,069,951. The stock 52 week high is 569.31 which comes in at 33.81 points difference from the previous days close and the 52 week low at 407.6 a difference of some 127.9 points. Scottish Mortgage Investment Trust PLC now has a 20 simple moving average of 552.02 and now the 50 day moving average now of 551.49. The current market cap is £7,843.84m at the time of this report. The currency for this stock is GBX. Market cap is measured in GBP. 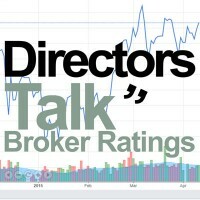 This article was written with the last trade for Scottish Mortgage Investment Trust PLC being recorded at Friday, September 14, 2018 at 12:23:09 PM GMT with the stock price trading at 541.48 GBX. Shares in TUI AG with ticker code: LON:TUI has risen 1.85% or 24.5 points throughout today’s trading session so far. Traders have remained optimistic while the stock has been in play. The periods high has already touched 1353.5 and a low of 1324.5. The total volume traded so far comes to 501,115 with the average number of shares traded daily being 1,457,444. The 52 week high price for the shares is 1816 equating to 489.5 points difference from the previous days close and putting the 52 week low at 1238 making a difference of 88.5 points. TUI AG has a 20 day moving average of 14.23 with a 50 day MA at 15.44. This puts the market capitalisation now at £8,898.91m at the time of this report. All share prices mentioned for this stock are traded in GBX. Mcap is measured in GBP. This article was written with the last trade for TUI AG being recorded at Friday, September 14, 2018 at 12:25:59 PM GMT with the stock price trading at 1351 GBX. Click RR SBIZ SMT SOLO TUI for the full archive.